Crackers and I are good friends. The kids love them, they fill those: “BUT MUM I’M STAAAARVING” moments and they are fabulous in lunchboxes with or without cheese to go on top. 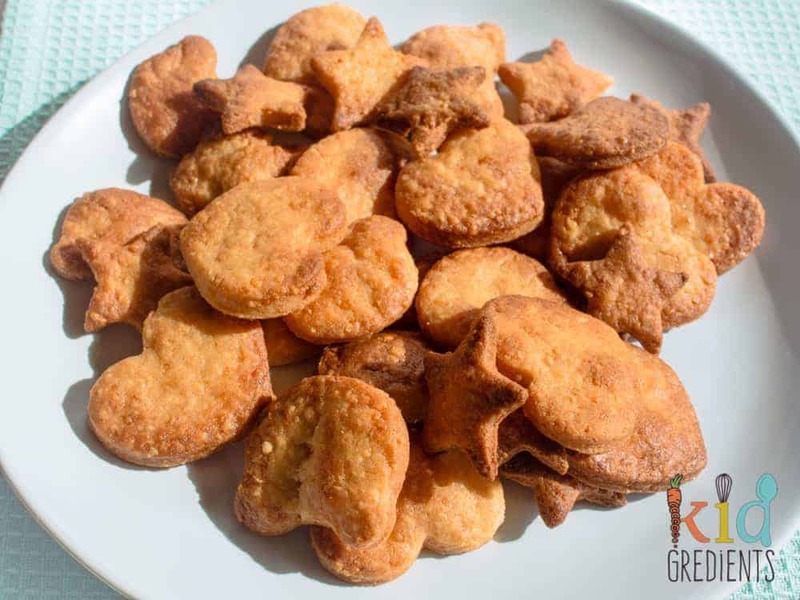 These simple cheese mini crackers are perfect for little hands, little mouths and little snack containers. 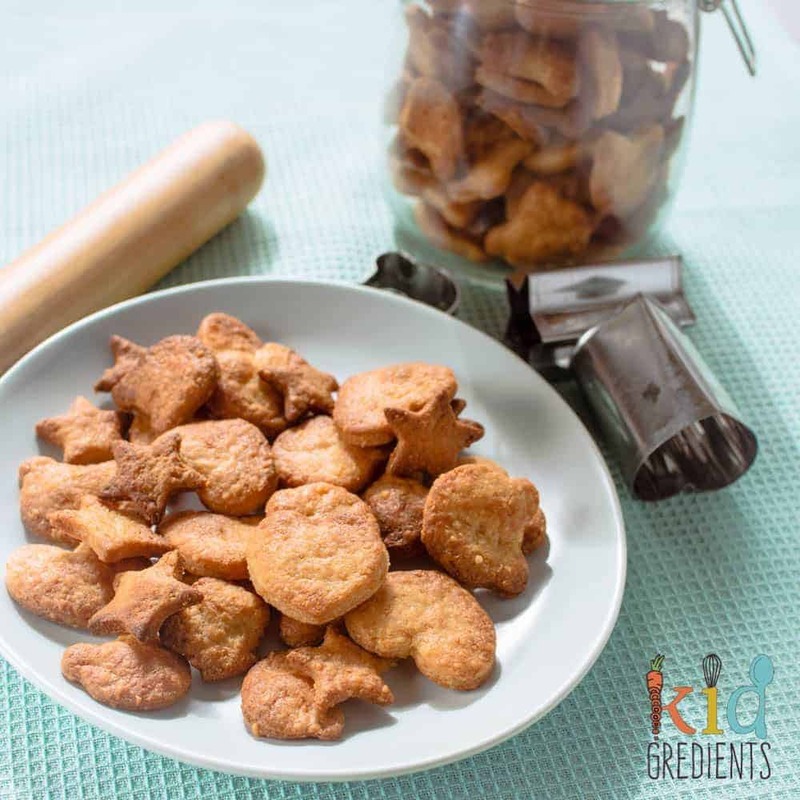 If your kids are keen on store bough processed cheese crackers, these are the perfect alternative. The secret to these being really easy to roll out and also thin is the atta flour. It is a hard durum wheat flour which means it is strong flour, similar to “00” flour used in pasta making. It is the strength of the flour that means that the dough rolls quickly and easily when treated correctly without the need for flouring your surfaces or rolling pin. This in turn means the bickies don’t end up tasting overly floury, which is something I really don’t like in homemade crackers. You can buy atta flour in most larger supermarkets, it is primarily used in indian cooking, so if you don’t find it with the flour, check the indian food section. If you still can’t find it anywhere, I recently ordered it from Affordable Wholefoods. These crackers are really cheesy and they will easily cut into whatever shapes you want. I went with little hearts, stars and teddy bear heads as I wanted them to fit in the yumbox mini snack! They were also the only cutters I could quickly find. If you’re keen to replace storebought bickies, you could use a funbites cutter to make heaps of little squares. You make about 100 in a batch if you keep them small. I think one of the things that actually encourages my kids to try new things is when I present them in a cute way, so by cutting the crackers small and cute, they are more excited to try them. You do need a food processor for this recipe and that’s what makes it so very easy. Once you’ve made them once, you won’t turn back. 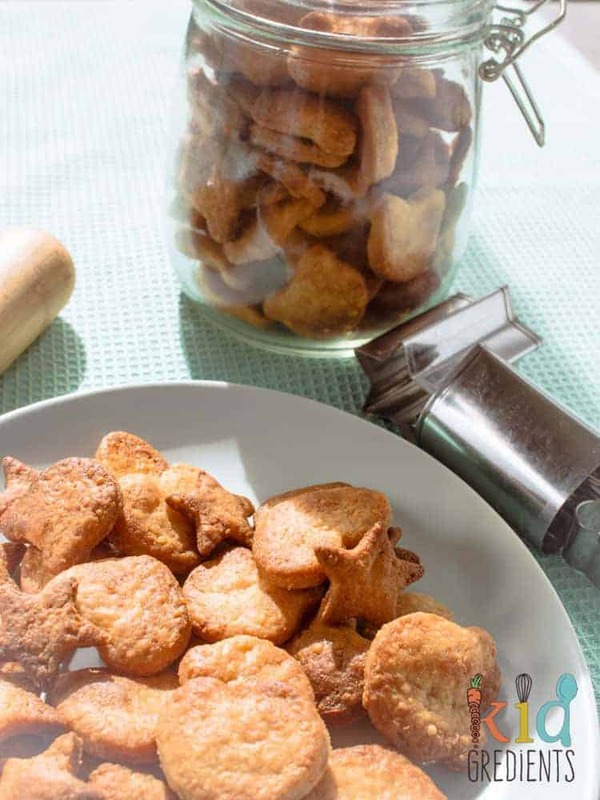 Simple healthier sweet biscuits- lunchbox perfect! Healthier ginger snaps the new snack fave! 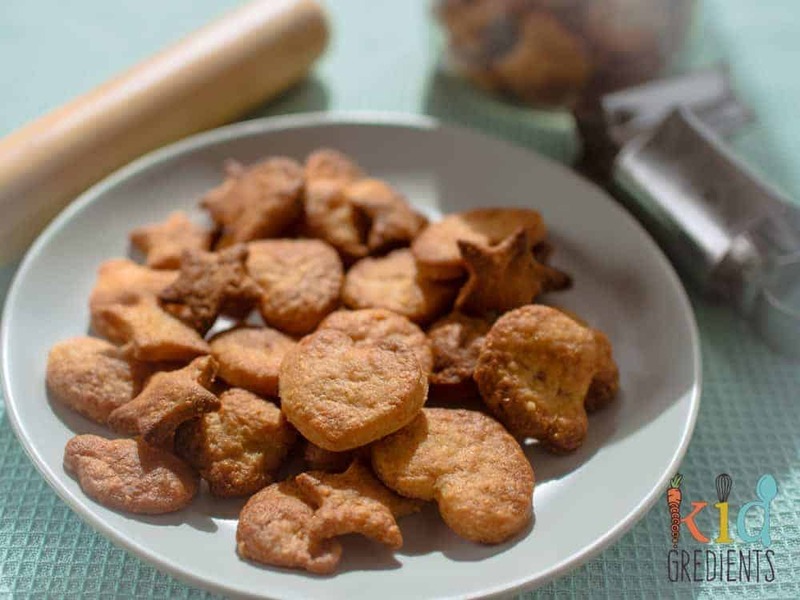 Simple cheese mini crackers (100 in a batch) perfect for the lunchbox or snackbox, easy to roll and cut, quick to bake, tasty! Kid friendly! Add the cheese, butter, flour and salt to the bowl of a food processor. Process until it looks like fine breadcrumbs. Continue to blitz and add the milk gradually. When all the milk is mixed in, remove to a bowl and bring together to form a dough with your hands. Cover the bowl in cling film and refrigerate for 20 minutes. Roll out the dough on baking paper or a silicone mat until very thin (about 3mm is what you're aiming for). Cut into shapes- I did stars, bears and hearts. Bake for 10 minutes on a lined tray. They will be golden. They look great!Could you freeze them before you bake them if you didn’t want to use them all at once? Yes you could, but in all honesty, they get eaten so quickly! How could you freeze these? Yum! These look tasty, and I’ve never heard of that flour so I’m intrigued ? Thanks for sharing this wonderful recipe . My kids are going to love it. Atta flour is easily available in coles – under $7 for a 5kg bag. You’re welcome Sapna! I love atta flour, so perfect for biscuits as it rolls so easily! These look great! Where do you get the mini cutters from please 🙂 Thanks! Mine are from little bento world, the star and heart and the little bear is from a set of bears. ? It’s in my small supermarket (a Coles) up the road as well as my larger local one, so it shouldn’t be too hard to find!